Well, why not? The man's already been a wizard, a mutant, a monster-movie director, a Nazi in hiding, many Shakespearean types, and will soon portray Sherlock Holmes. Why not an enchanted talking clock? 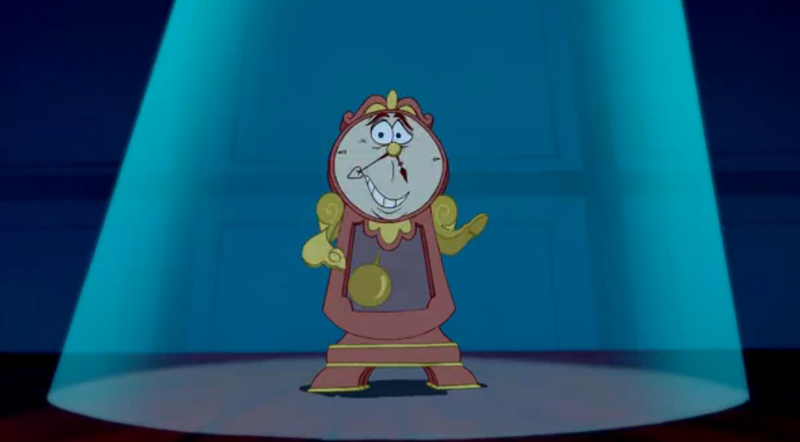 If you'll recall, the talking clock Sir Ian will be playing answers to "Cogsworth" and is the butler of the Beast's well-staffed mansion. So far, Lumiere, his candlestick sidekick, has yet to be cast, though Emma Thompson will be holding it down as Mrs. Potts. Emma Watson and Dan Stevens are assaying the title characters in the film, which begins shooting later this year. As the Variety story which broke the McKellen casting news notes, Disney's ever-growing slate of live-action remakes of animated (or partially animated, as the case may be) films includes Mulan, Winnie the Pooh, Dumbo, Pinocchio, The Jungle Book, and Pete’s Dragon ... though not, alas, The Black Cauldron.